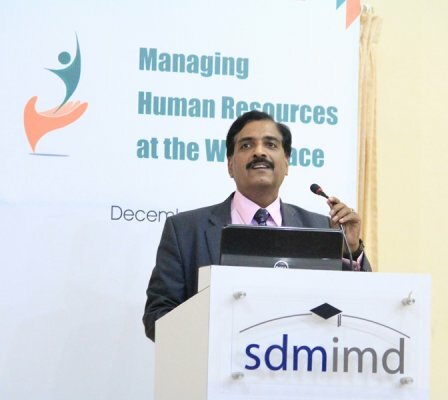 Mr. C Mahalingam, Executive Vice President & Global Chief People Officer, Symphony Services Corporation, was invited to speak on 'Measuring HR Architecture' during Valedictory function scheduled on 2nd day of the 5th International HR Conference held during December 9 & 10, 2016 at SDMIMD. The speaker focused his presentation on the aspects of business imperatives, accelerating performance, crisis in measurement as criteria in measuring HR Architecture. The speaker presented the ideas with live cases from the industry.